If you’re unfamiliar with the idea of a GPS watch, you might be thinking of one that will help keep you from getting lost by giving you directions while out on a walk. However, that’s not what they do—GPS watches are designed to help people keep track of their movement, but for fitness purposes. 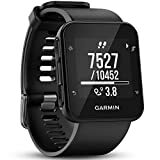 Think of a GPS watch as being like the pedometer people might wear if they want to count the number of steps or miles they cover in a day in order to help them meet their fitness goals, only more high-tech. GPS watches use satellite technology to figure out a person’s location and, more importantly, how much they move in a given day. If you’re interested in keeping better track of your movements, a GPS watch can be an excellent—and stylish—way to do so, and here are a few ways to find the best one for you. Independent: An “independent” watch saves the user’s movement information in the watch itself—the user can then record the information however they like. Independent watches are a good option for users who want to keep track of their movement, but aren’t particularly interested in working with a company or program. 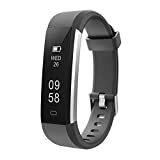 Program-Specific: These watches are manufactured by or in connection with specific fitness programs, such as Fitbit, and the watches are designed to sync with users’ online fitness profiles. 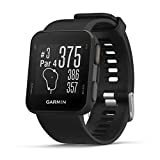 These watches are an excellent option for users who find that working with programs (which do things like sending reminder e-mails) helps them to keep their fitness goals and achievements in mind. Meter accuracy: Since activity trackers measure things like number of steps, heart rate, and other things that can be hard to pin down, it’s essential that they have accurate sensors. The best watches are able to keep excellent track of all the information that users require. Ease of setup: This is especially important for watches that are tied to specific programs or that can by synced to the user’s computer—it should be easy to get the watch up and running as soon as it arrives, which is the case with better brands. Comfort: Since GPS watches can be bigger than other models (because of its added equipment), it runs the risk of being bulky and uncomfortable on the wrist. The manufacturers of the best models avoid this problem, making watches that are as sleek as possible, and, more importantly, light and comfortable for wearers. 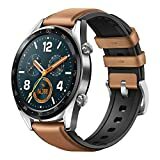 Program: If you already have an account with a particular fitness tracking program (and are happy with it), then look for a watch that is either produced by that company or made to be compatible with its program. 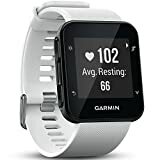 What it monitors: In addition to keeping track of time, heart rate, and number of steps (or distance travelled), watches can track a number of other things, like sleep patterns, stairs taken, and even vertical incline (for skiers). Be sure to find a watch that can keep track of all the information that you need to match your fitness goals and lifestyle. Battery life and charging: When looking at a watch’s specifications and reviews, get a sense of how long you can expect its battery to last when fully charged, as well as how you will need to charge it (with a USB connection, by plugging it into the wall, etc.). FitBit: FitBit has emerged as one of the leading companies in fitness tracking since its founding in 2007. The company produces a wide range of trackers, watches, scales, and other equipment to help users keep track of their exercise goals and progress. Nike: Nike is one of the world’s most recognized and highly-regarded fitness companies. Established in 1964 (and given its current name in 1971), Nike is known around the world for its high-quality sneakers and shoes, and also offers a wide range of fitness equipment and accessories to fit just about any lifestyle need. TomTom: TomTom is a leader in GPS tracking. Founded in 1991, the company offers an array of personal movement trackers in addition to its most well-known products – its line of in-care GPS direction devices. 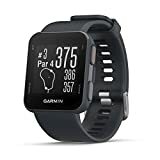 Garmin: Garmin is an American manufacturer of GPS navigation devices and movement trackers. Founded in 1989, the company offers a wide range of electronic devices and accessories for people who get around on foot, by car, or by other modes of transportation. Soleus: Soleus is an American company that specializes in producing watches for runners and other athletes. Founded in 2008, the company offers a number of different kinds of watches, trackers, and other fitness accessories.